Gun cabinets are a vital part of owning a weapon. It is essential that when not in use, they are kept safe from accident and theft. Our range of gun cabinets were designed and manufactured with this in mind, while at the same time not compromising on appearance and practicality. 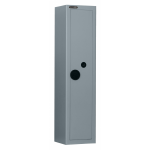 We supply gun safes in various shapes and sizes that can hold different numbers of weapons. 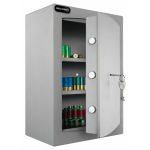 With two leading gun safe manufacturers, Securikey and Burton Safes, within our range, you can be sure that we have a great range of gun safes at the most competitive prices on the net.